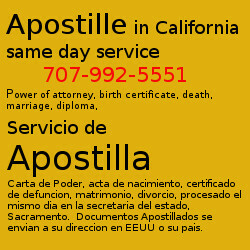 California Apostille service: Any document created in California and signed by a State Official or Notary Public(Power of attorney, birth, marriage, death certificates) Same day processing ship worldwide documents with Apostille. Frequently Asked Questions, FAQ, starting with: What is an Apostille? National Notary Association member and certified since 2003. Como obtener una Apostilla en California? 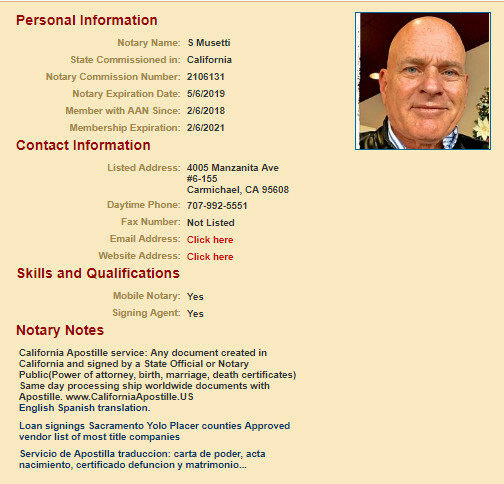 Apostille, Spanish, se habla espanol, California secretary of state apostille service, Sacramento County mobile Spanish Notary Signing Agent.